Michael W. Foote, M.D. 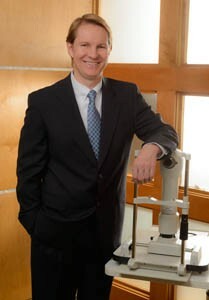 is a board certified ophthalmologist providing comprehensive eye care for patients over the age of 13. He is originally from El Paso and returned in 2002 to begin his practice in ophthalmology. He provides comprehensive eye care including laser vision correction, cataract and glaucoma surgery, cornea and eyelid procedures as well as contact lens fitting. Dr. Foote is a third generation physician. He has participated in medical missions in Guatemala and Mexico. His interests outside of medicine include golf, snow and water skiing, tennis and triathlons.